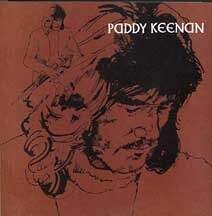 This is the CD reissue of Paddy's very first solo LP, recorded for Gael-Linn back in 1975. Paddy's virtuosic piping is legendary, and this recording shows him at his best, very much under the spell of Johnny Doran's open style. Also with the late John Keenan (banjo), Thomas Keenan (whistle), and Paddy Glackin (fiddle).